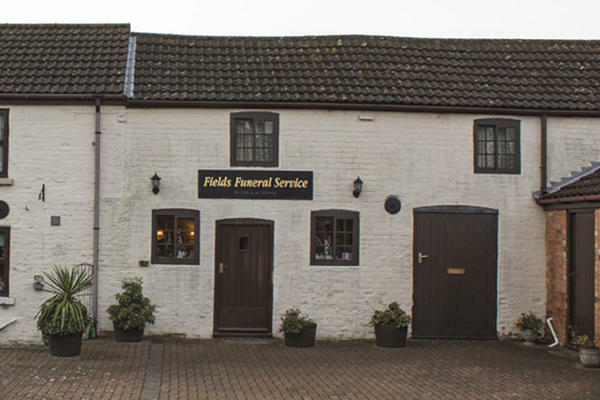 We are Fields Funeral Directors in Westwoodside, and we have been supporting our local community for many years from our refurbished funeral home. Whatever you have in mind for your loved one, we will be able to help make it happen. Our dedicated funeral professionals have a wide range of expertise, and we can provide a full service for all religious and non-religious funerals. We offer a bespoke and personal service, working closely with you and your family to arrange the perfect farewell for your loved one. We are also able to provide monumental masonry, should you want to choose a memorial for your loved one which will stand in their memory. We are here to support you during this difficult time, so please get in touch if you have any questions. We are here to advise and guide you, and you can reach us by telephone 24 hours a day. Call us today on 01427 874424 to talk through your personal requirements. At Fields Funeral Directors, we understand how special life is with those that you love. For us, every funeral is unique and personal. We have a service to fulfil every wish, with every detail carried out with the same uncompromising quality of care. From a traditional service, to a colourful woodland burial, your options are limitless with our Full Service Funeral. If you have a little more flexibility when it comes to arrangements, then we can provide a Simple Funeral for a lower cost. There is ample car parking at the branch and on surrounding streets. We are on the same road as the Village Hall, the Methodist Chapel and Westwoodside Primary School. Our staff are available 24 hours a day on 01427 874424 if you require our services outside of these hours. They talked us through everything, they dealt with everything we needed and provided an all round excellent service,so grateful thank you. Fields provided not only a very professional respectful service but friendly and caring from start to finish. They also were very supportive especially when visiting the Chapel of rest. There was good communication and organisation this lead to making things easier for us as this difficult time. I would highly recommend other using Fields. Thank you for sharing your experience with us on your online review. I am pleased that we were able to look after you and your family at this difficult time.